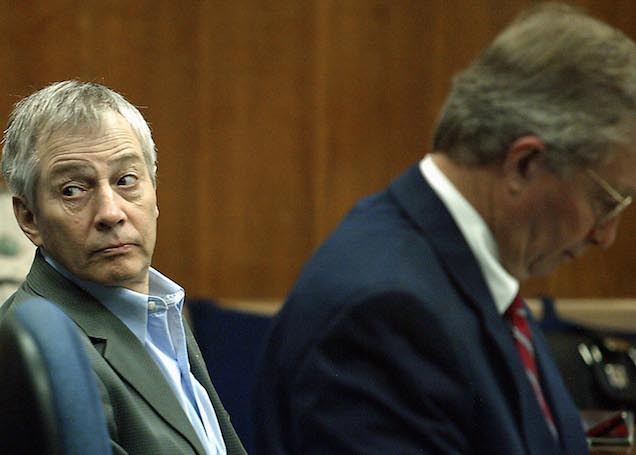 In the incredible finale of The Jinx, Robert Durst seemingly confessed to the murders of his wife Kathie Durst, his Galveston neighbor Morris Black, and his friend Susan Berman. These aren't the only suspicious deaths and disappearances tied to his name, however. On June 23rd, 1997, 18-year-old Kristen Modafferi disappeared after leaving work at a coffee shop in a San Francisco, California mall. 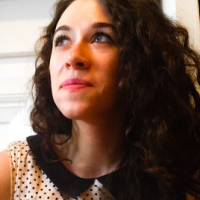 She'd moved to San Francisco after completing her first year at North Carolina State University. Robert Durst owned a home in the city at the time of her disappearance. Detectives began looking, and found Durst [had] as many as nine residences in Northern California during the late 1990s. Birkbeck starts to just casually mention Durst, [investigator with the San Francisco District Attorney's Office] Bradley said. Quite by happenstance, another investigator in Oakland overhearing bits and pieces of this went to a national Web site for missing children, starts fooling around and finds Karens case, he said. Thats literally what a dumb-luck discovery it was. We dug further and then found out Bob Durst had property in Eureka and then here in San Fran, too. I can prove that he was in and out of San Francisco on a regular basis from 1995 to 2001. Karen Marie Mitchell was last seen on November 25th, 1997 leaving her job at a mall in Eureka, California. Witnesses say she left in a light blue sedan, the driver of which was a 60-70 year old male with either light grey or sandy blond hair. At the time of her disappearance, Durst drove a green Ford Explorer around northern California, but according to a 2003 The Journal News article that cites John Bradley, an investigator with the San Francisco District Attorney's Office at the time, a "drug user and prostitute" who was friendly with Durst told authorities that she only knew him to drive a light blue car. Durst lived in Trinidad, a nearby town, at the time of Mitchell's disappearance, and—according to investigative journalist Matt Birkbeck—frequented a homeless shelter where she volunteered. He also visited the shoe store where Mitchell worked several times in March of 1998, four months after she disappeared. "I originally reported on Durst's connection to the Mitchell disappearance in 2003 while he was awaiting trial for the Morris Black murder, and during the trial I was told then by someone close to Durst's defense team that Durst thought he would be indicted for Mitchell. He never was." Perhaps the most disturbing claim against Durst, at least in its specificity and believability, comes from Robert's brother Douglas Durst, and concerns dogs rather than humans. "Before the disappearance of my sister-in-law, Bob had a series of Alaskan Malamutes, which is like a husky," Douglas Durst said. "He had seven of them, and they all died, mysteriously, of different things, within six months of his owning them. All of them named Igor. We don't know how they died, and what happened to their bodies." "In retrospect," he says, "I now believe he was practicing killing and disposing his wife with those dogs." Douglas also mentions that Robert would use Igor as a verb, claiming, "When he was in jail in Pennsylvania, he was recorded saying, 'I want to Igor Douglas.'" In that same interview Douglas said, "There's no doubt in my mind that if he had the opportunity to kill me, he would." Contact the author at kelly.conaboy@gawker.com.